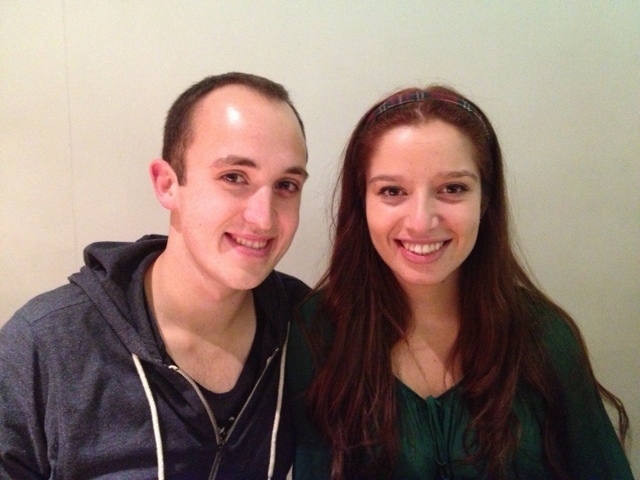 Had a lovely dinner at Wagamama. 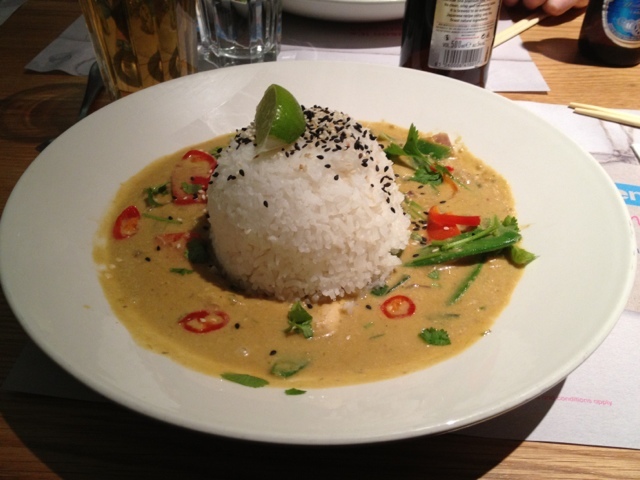 Harry ordered the chicken raisukaree, which was a coconut curry, definitely would order again. 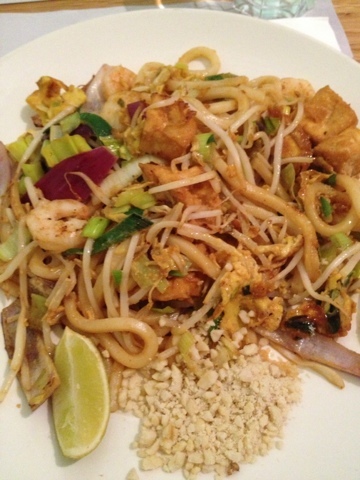 I ordered amaie udon which was basically red pad Thai with udon noodles and it was sooooo good! Can't beat good dinner with friends!